Shakespeare and Kanye: wordsmiths 400 years apart. 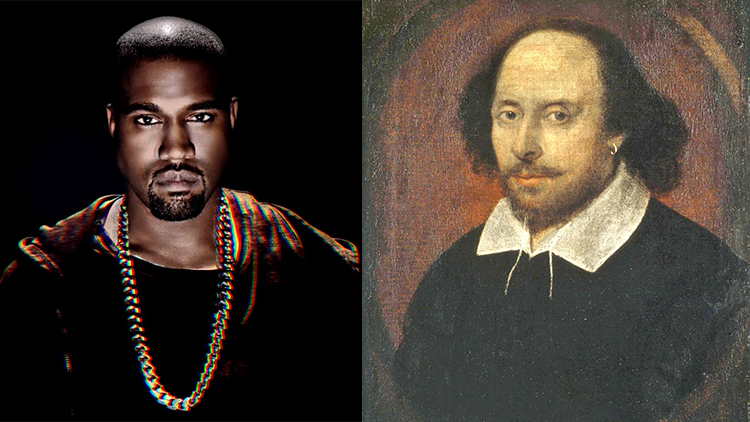 Two icons living four centuries apart, both Kanye and Shakespeare could claim to be the voice of a generation. But which has had the biggest impact on you? Take our quiz to see if you know your sonnets from your songs, your Bard from your Yeezy beats. To play or not to play: that is the question.